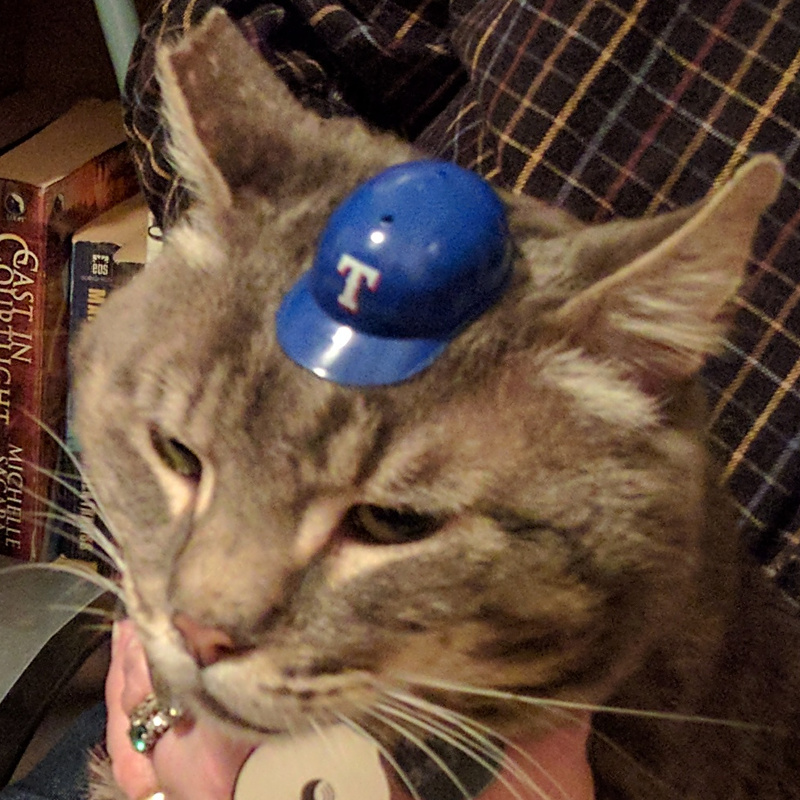 Of course Solomon was a baseball fan. to a well-turned 6-4-3 double play. your neck with ire over a missed tag. The point is that we’ve once again arrived at the beginning of the baseball season, and that means it’s time for predictions. 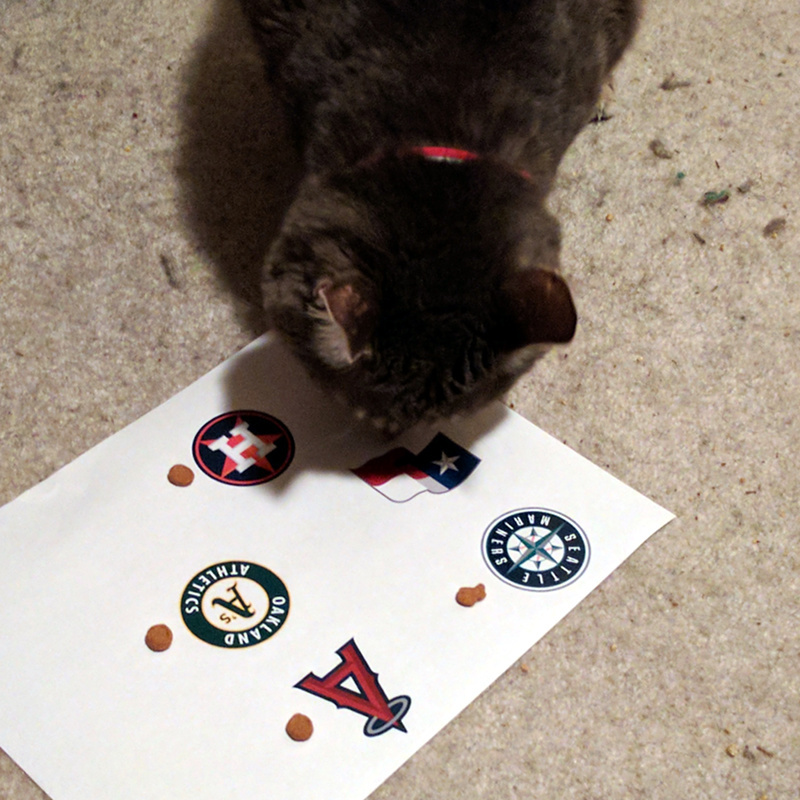 Over at her blog, Jackie has called on a panel of experts to help her select this year’s playoff teams and eventual World Series winner. I’m pleased and honored that she asked me to be a member of the panel. But such predictions, made before the season even begins, are a matter of guesswork. And so, once again, I’m turning to SCIENCE! to make my own. For the past two seasons, I’ve used a formula based primarily on margin of victory in the first games of the season. In 2015, I achieved 40% accuracy in picking the playoff teams; last year I upped that to 70%. I’ve made further tweaks to my methodology this year, and I’m aiming for 90% or better. Until now, I’ve been vexed by having to deal with pre-Opening Day games giving some teams a longer track record than others, while other teams have had their first games rained out. That’s definitely hurt my accuracy. Fortunately, this year all of the teams that played Sunday had Monday off, so nobody’s played their second game yet. Unfortunately, Monday’s Tigers/White Sox game was rained out. So we’ll use the results of today’s game instead. Assuming, of course, that it doesn’t get rained out too. So, enough background. What are the predictions? East – The New York Mets are the clear leaders, thanks to their six run victory over Atlanta. Central – The St. Louis Cardinals are the only NL Central team to win, and that was only by one run. Clearly, it’s going to be a slow year in this division. West – The LA Dodgers are going to build on their 14-3 shellacking of San Diego and run away with the NL West. Wild Cards – This prediction system loves the Colorado Rockies. For the second year in a row, it thinks they’ll grab a wild card, while the other slot goes to the Washington Nationals. East – Who would have thought it would be the Tampa Bay Rays taking the division? But a convincing 7-3 victory over the Yankees can’t be dismissed. Central – The Minnesota Twins‘ 7-1 victory over Kansas City puts them in the driver’s seat. But with no games played by Detroit and Chicago, we could have a quick change of predicted victors here. West – Many of the conventional predictions have the Houston Astros winning the West, and some have even penciled them in for the World Series. Thanks to their 3-0 clobbering of Seattle, my system also has them taking their division. Wild Cards – The Cleveland Indians will take the first slot on the strength of their 8-5 win against Texas. Both Boston and Oakland had two-run victories; as in the past, we’ll use their preseason records as the tiebreaker. That means it’ll be the Boston Red Sox on the strength of an 18-14 record. Unless, of course, Detroit or Chicago rearrange matters to their liking. Interesting, wouldn’t you say? The Cubs won’t get a chance to defend their title, the Giants won’t win the World Series* either, the Orioles will be on the outside looking in, and the Mariners will extend their “missed the playoffs” streak to 16 seasons. * Not that anyone expected them to: the last time the Giants won a World Series in an odd year was 1933. Forget that “aiming for 90%” thing. This year I’m in the peculiar position of hoping my system implodes spectacularly. But I’ll go with the predictions as they stand, subject to correction once the White Sox and Tigers actually play a game. Who’ll be the World Series winner? It’s too early to tell. Last year I took a week’s games as my baseline and that worked well, so I’ll do the same this time. Thursday, I’ll have something of interest for the hereticsnon-baseball fans, and my playoff predictions will go up next Tuesday. We’re almost there. The MLB preseason is just about over. Opening Day is Monday, though as usual, we’ve got Scheduled For TV games on Sunday–three of ’em this year. As we all know, the beginning of the season means two things: cats are making predictions and this year’s baseball video games hit the shelves. Check out this commercial for MLB The Show 17. Assuming you haven’t fled, screaming in horror, let’s talk about what’s wrong with this. For starters, did you notice that every single person in the commercial is “this guy” and “he”? I’m not sure whether Sony thinks that women don’t play video games or that there aren’t female baseball fans, but either way it’s a damned offensive assumption. Then there’s the celebration of Manfred’s Kool-Aid. “Quick three inning games”? Are you kidding me? And speaking of that guy–four jobs and twelve kids? Come on! As Groucho Marx once didn’t say, “I love my cigar, too, but I take it out of my mouth once in a while!” Maybe if the dude hadn’t dropped $300 on a PS4 and $60 on the game, he could afford to quit one of those jobs. I don’t play video games–not even baseball games–but I’m tempted to buy a PS4 just so I can boycott MLB The Show 17. The only thing stopping me is that Sony makes the console too. Of course we’ve begun indoctrinating Rufus into the household traditions. He’s seen some baseball on TV (about ten seconds worth of highlights), so we figured he was qualified to make predictions for the 2017 season. On the other hand, he is new to the concept, so we decided to start him off with something straightforward: predicting the final standings for the American League West. We’ll keep working with him during the season, and if his predictions pan out, we’ll give him a shot at the playoffs. He used a treat-based methodology to make his selections. It’s not the order I’d have liked to see, but it’s not completely unreasonable, based on the preseason predictions. For comparison, FiveThirtyEight has Houston, Seattle, Texas, LA, and Oakland. Rufus definitely enjoyed making his picks. He was, however, rather less enthusiastic about the obligatory Wearing of the Cap that followed. Yes, I watched the AAA All-Star Game yesterday. Did you? It was pleasantly like going to a minor league game between two teams whose success I had no vested interest in. I was able to root for whoever was behind, and when the International League came back from a two run deficit to win, I was delighted. Of course, I would have been just as happy if the Pacific Coast League had mounted a ninth inning rally to take the game back. As I promised, here’s the mid-season report on my predictions for the playoffs. The Red Sox are doing better than I expected, at eleven games over .500, but they’re still trailing the Orioles by a couple of games. No AL East pennant for them. The Indians are the surprise of the season so far. I thought they’d be lucky to make .500; they’re currently twelve games over, with the second-best record in the AL. The Astros are seven games over .500, nicely in line with last year’s record, but they’re five and a half out in the division and two out in the Wild Card. And, joy of joys, the Yankees are 44-44, seven and a half out of the AL East lead and five and a half out of the Wild Card. As for the rest of the predictions, my method doesn’t seem to be doing very well. Texas is currently leading the entire AL, so they’re well-positioned to take the West as predicted. After that, however, my predictions are in serious trouble. The White Sox and Kansas City are currently tied for third in the Central, and their Wild Card hopes are fading badly. Toronto, who I picked for the AL East title are third, albeit only a couple of percentage points behind Boston. And the Orioles, my second Wild Card pick, are leading the division. Ouch. On the NL side of the ledger, the SenatorsNationals and Cubs are leading their divisions, as predicted. I called the Dodgers and Giants to finish first and second in the West; currently they’re second and first. Colorado, however, predicted to take the second Wild Card, are at 40-48, seven games out of the Wild Card race. Add it all up, and–if the season were over right now–I’m three for ten in my predictions. If we just look at the playoff teams regardless of position, I’m doing quite a bit better, six for ten. If that hold up, I’ll have met my goal of getting over .500. Stay tuned to see how well the numbers hold up through the second half. And who knows, maybe the Blue Jays, Rockies, White Sox, and Royals will get their acts in gear and bump my score up even further. Last week I promised my MLB playoff predictions. Never let it be said that I don’t live up to my promises. Remember, we’re testing the theory that run differential on the first day of the season is a good predictor of teams’ ability to make the playoffs. The first thing we notice is that Colorado is lucky to have scraped together a .500 record. If they’re going to make the playoffs, even as the second Wild Card, they need to beef up their defense. The Orioles are obviously the class team of the AL this year. They’ll demolish the Royals in the Wild Card game, crush the White Sox in the Division Series, and mutilate the Blue Jays (who squeaked past the Rangers) in the League Championship. The NL playoffs are going to be even less competitive. The Giants will shred the Rockies in the Wild Card, then be flattened by the Cubs in the Division Series. So much for the “Even Year Dynasty”. The Dodgers won’t have any trouble bouncing the Nationals out of the playoffs, but they won’t get anywhere against the Cubs in the League Championship. That gives us a Cubs/Orioles World Series. On the face of it, the Orioles should coast through the series, riding their record-breaking 162-0 regular season performance, but that pesky run differential tells a different story. The Cubs may only have gone 138-24, but their run-scoring and run-prevention, nearly twice as good as the Os’, will make the difference. The Cubs’ curse will be broken, only one year later than the Back to the Future movies predicted. Congratulations, Chicago. Now, how about a World Series win for Seattle next year?